Canterbury Coffee’s award-winning coffees at the 2017 Pentair Everpure Golden Bean Awards. This year’s Pentair Everpure North American Golden Bean Awards saw over 800 entries, making the competition twice as fierce. This is one of the top coffee roaster competitions in North America. Originally starting in Australia, the Golden Bean Awards contributed substantially to the fast-growing coffee industry there. Roasters aspire to win the famed Golden Bean which is awarded to the roaster with the overall best combined score in the Espresso, Milk-based and Filter categories. 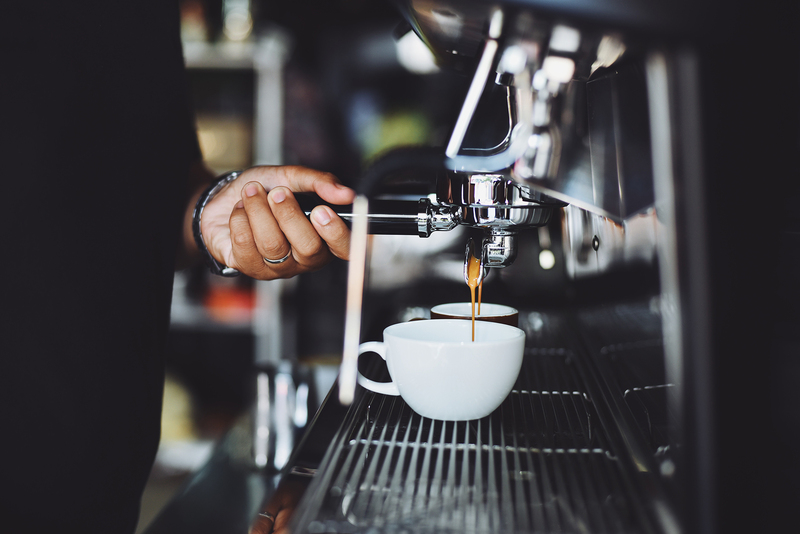 There are 10 categories in total, including Espresso, Milk-based, Filter, Organic espresso, Single-origin espresso, Decaffeinated (milk based), North American grown (milk based), and three additional franchise categories. Canterbury Coffee’s own product training specialist, Lenka Borohova, was one of the judges at this year’s event. She noticed that similar to last year, Ethiopian coffees (and specifically Ethiopian Yirgacheffe) did well overall. This year we submitted our three-time silver medal winning coffee, reSIProcate Ethiopia Yirgacheffe. This coffee is part of our reSIProcate line which focuses on sustainability, and is always Fair Trade and Organic. The Ethiopian Yirgacheffe comes from the Oromia region of Ethiopia and uses the washed process. Once again, our Ethiopia Yirgacheffe placed silver in the Organic Espresso category, for the third time in 3 years. New to this year’s submissions was our reSIProcate Mexico coffee, which won silver in the North American grown category. This single-origin coffee from Chiapas, Mexico, is another Organic, high-grown coffee, and it’s delicious in a latte. Also winning silver in the same category was our Arianna Farms ‘Ono Kona. This coffee is grown on the Hualalai Volcano in the original Kona Coffee Belt, on a 50-acre family-run farm. Arianna Farms is the 2-time winner of the Kona Coffee Crown Cupping competition – so it’s no surprise that coffees from this farm are winning awards here at the Golden Bean Awards. The last, but certainly not least of our winning submissions was reSIProcate Verità Espresso, winning a bronze in the Organic Espresso category as well. Our Verità Espresso is a blend from Ethiopia, Sumatra, Brazil, Peru and Nicaragua. There were a handful of other Canadian coffee roasters at the awards, and the competition continues to grow exponentially from last year. Congratulations to all the roasters who won awards! Inspired by all the great coffees that were entered this year, we’re working hard to continue to bring you the best, high-grown, 100% Arabica coffees year after year. Canterbury Coffee has an exciting new face to introduce and he’s ready to get roasting! Tim Cole, one of our roasters, has just passed his Washed Mild’s Triangulation exam, which is part of the Q-grader certification. Once he completes the rest of his tests, we’ll have two certified Q-graders roasting coffee and some exciting submissions ready for next year’s North American Golden Bean awards.